The Beginner’s Bible® has been a favorite with young children and their parents since its release in 1989 with over 25 million products sold. Now it’s redesigned with fresh new art that will excite children for many more years to come. Full of faith and fun, The Beginner’s Bible is a wonderful gift for any child. 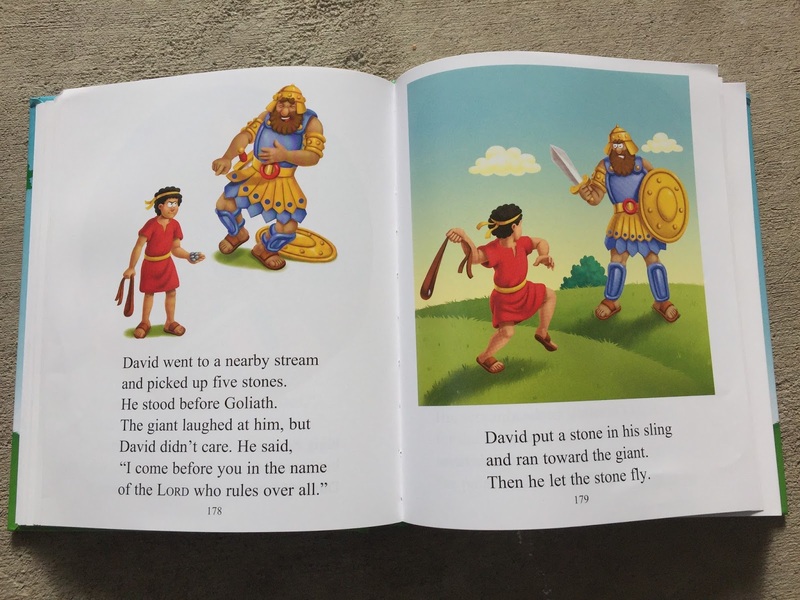 The easy-to-read text and bright, full-color illustrations on every page make it a perfect way to introduce young children to the stories and characters of the Bible. With new vibrant three-dimensional art and compelling text, more than 90 Bible stories come to life. Kids ages 6 and under will enjoy the fun illustrations of Noah helping the elephant onto the ark, Jonah praying inside the fish, and more, as they discover The Beginner's Bible just like millions of children before. The Beginner's Bible was named the 2006 Retailers Choice Award winner in Children's Nonfiction. The Beginner's Bible is the perfect introduction Bible for children ages 4-8 (and even younger). We already own the older version and love it. My son (who is almost 3) wants to read the stories over and over again. His favorite is David and Goliath, which we have read too many times to count, but after we read his favorite he wants to read the whole Bible page to page. The new 3D illustrations in this updated version are so colorful and engaging. My son and I love that there is artwork on every page. It really brings the stories to life. I will continue to use this Bible with my son and daughter for years to come. Very highly recommended. :) I received this Bible free to review from FlyBy Promotions. Use of Endorsements and Testimonials in Advertising”): Many thanks to Propeller Consulting, LLC for providing this prize for the giveaway. Choice of winners and opinions are 100% my own and NOT influenced by monetary compensation. I did receive a sample of the product in exchange for this review and post. Only one entrant per mailing address, per giveaway. If you have won a prize from our sponsor Propeller / FlyBy Promotions in the last 30 days, you are not eligible to win. Or if you have won the same prize on another blog, you are not eligible to win it again. Winner is subject to eligibility verification.” Ends 1/6/17. If you win, you will be sent an e-mail and have 24 hours to respond or a new winner will be chosen. US only. I have a 4 and 6 year old who I'd read this to! We are about to start fostering and would love this for the 2 children we will be taking in! I would read this with my nieces and nephews please. kristiedonelson(at)gmail(dot)com Thank you. Happy 2017! I would read this with my grandson. I would read this with my 9, 8, and 6 year old. I would read this with my Granddaughter. I would read this to my son. If I win I will read this with my 6 year old twins. I would read this with my 3 year old twins! I would read with my 4 year old and my 10 year old. I would read this with my son. I would read this with my nephew. I would be reading the beginners bible with my granddaughter. She is turning in to a bookworm. I would read with our girls. I would read this with my niece. I'd read this with our family. I would read this with a family member, enjoying the fun cartoons! I would read it with my grandson. I would read The Beginner's Bible with my children. I would read this with my grandchildren. Thanks! I'd read it with my kids.